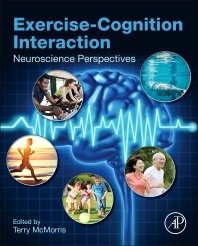 Exercise-Cognition Interaction: Neuroscience Perspectives is the only book on the market that examines the neuroscientific correlation between exercise and cognitive functioning. The upsurge in research in recent years has confirmed that cognitive-psychology theory cannot account for the effects of exercise on cognition, and both acute and chronic exercise effect neurochemical and psychophysiological changes in the brain that, in turn, affect cognitive functioning. This book provides an overview of the research into these effects, from theoretical research through current studies that emphasize neuroscientific theories and rationales. It addition, users will find a thorough examination of the effects of exercise interventions on cognitive functioning in special populations, including the elderly, children, and those suffering from a variety of diseases, including schizophrenia, diabetes, and an array of neurological disorders. With contributions from leading researchers in the field, this book will be the go-to resource for neuroscientists, psychologists, medical professionals, and other researchers who need an understanding of the role exercise plays in cognitive functioning. Can Physical Activity Affect the Diabetic Brain? Why Might Exercise Benefit Individuals with ADHD? Terry McMorris is Emeritus Professor of the Cognitive Neuroscience of Exercise and Sport at the University of Chichester and Visiting Professor at the University of Portsmouth. He initially trained as a schoolteacher and taught for 17 years before undertaking a Master of Physical Education degree at the University of New Brunswick, Canada. He obtained a PhD from the University of Southampton in 1997. His main interest is in the effect of physiological stress, especially exercise, on cognition. As well as exercise, Terry has examined the effects on cognition of sleep deprivation, heat and dehydration, and vibration during sea travel. He has also published in the area of skill acquisition and performance and published two test books on the subject. A very complete and pleasant book to read.